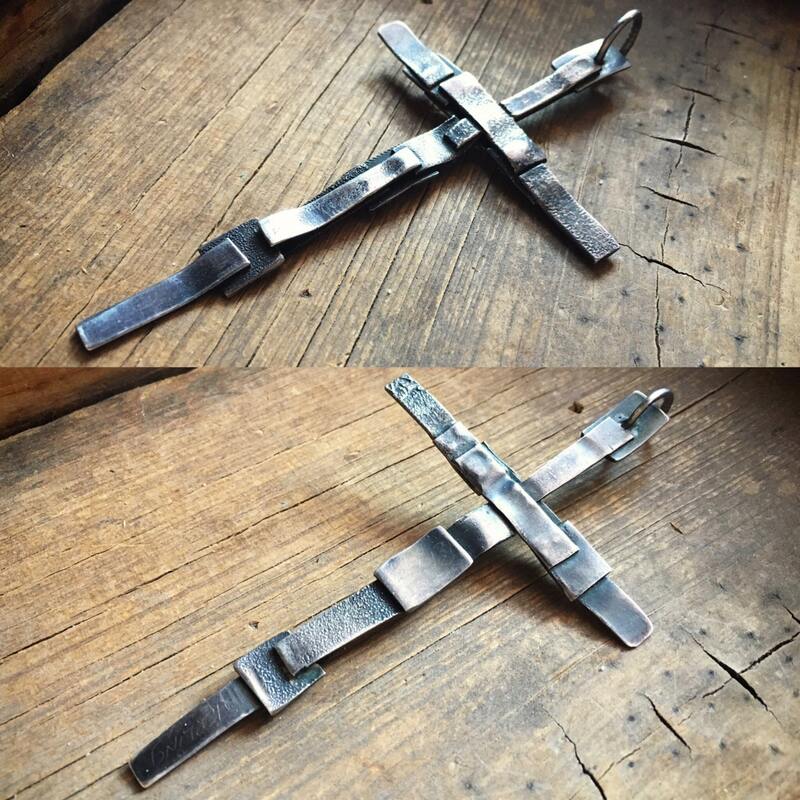 Here we have a fabulous silver Brutalist cross pendant made of strips of sterling silver, some hammered and oxidized, others smooth. Is a very large yet somewhat light piece, with a gorgeous hook at the top, large and oblong. Truly a statement piece. On the back in the very lightest of etching is the artist's hallmark, Peter, scratched onto the surface of the silver, and below that the word Sterling, also lightly scratched onto the surface. I've not been able to identify the artist, and we have no way of knowing if Peter was Native American or not. 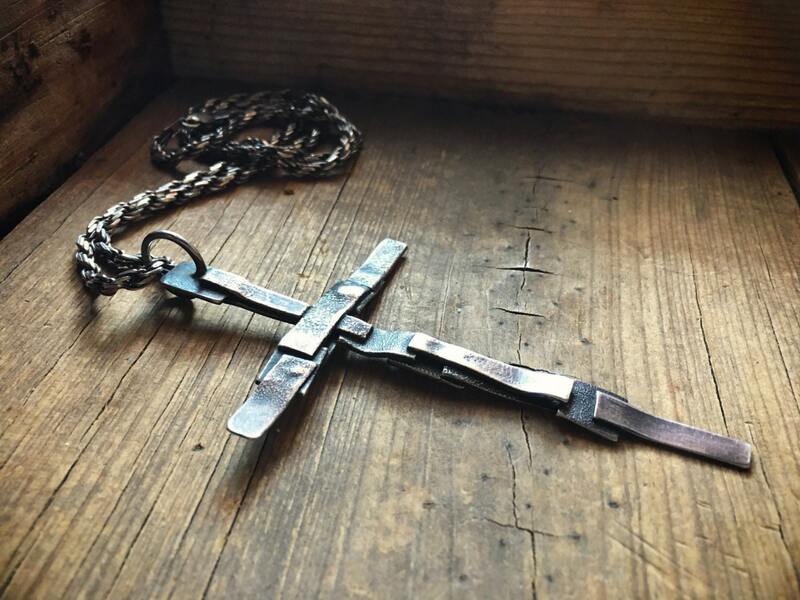 What we can say is that he had a wonderful sense of design, and that whoever owned it wore it, as the silver has a gorgeous patina, edges softened from wear and touch, and the interior of the hook has marks left by the chain. 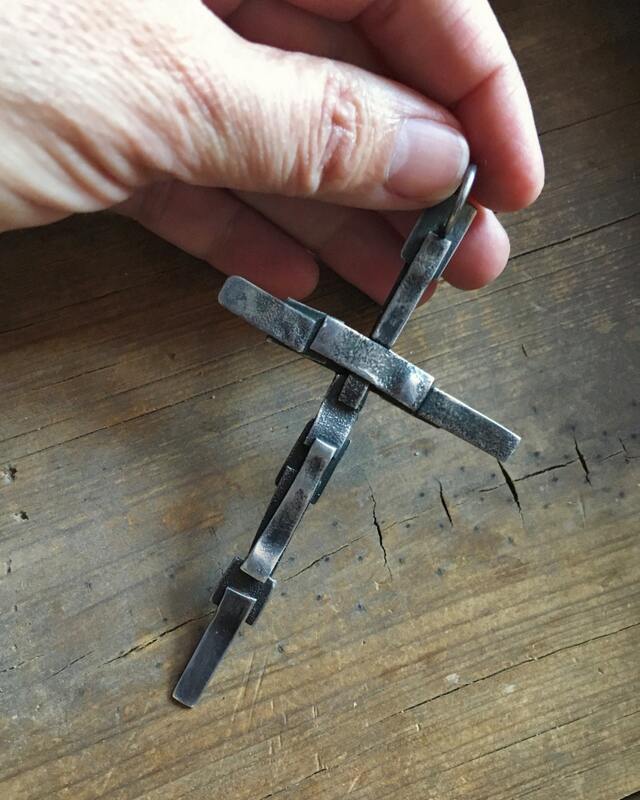 The cross measures just over 4-1/4" long including the hook, by 2-3/8" wide. This is a large piece. 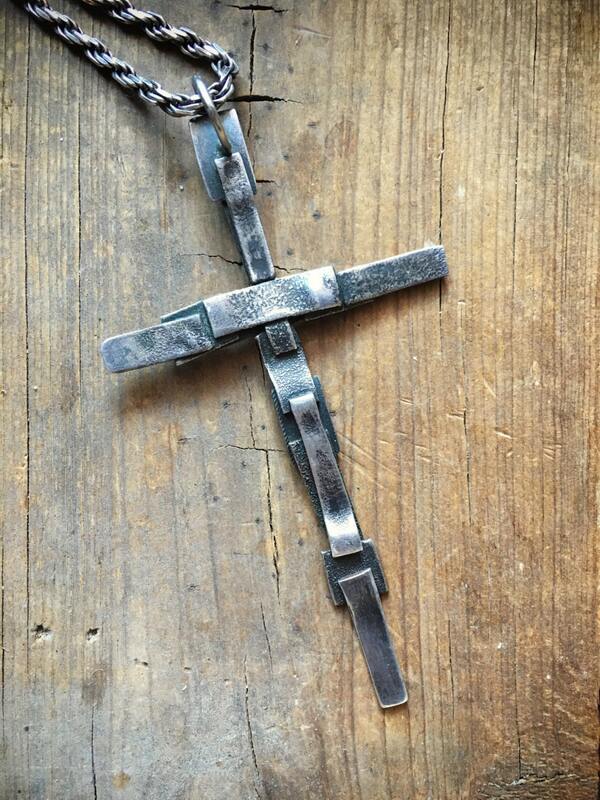 It would look fabulous on a heavy link chain, one of which I do NOT have but will continue to keep an eye out for. The chain pictured is NOT included, and is a heavy rope chain. It is available for purchase if interested. 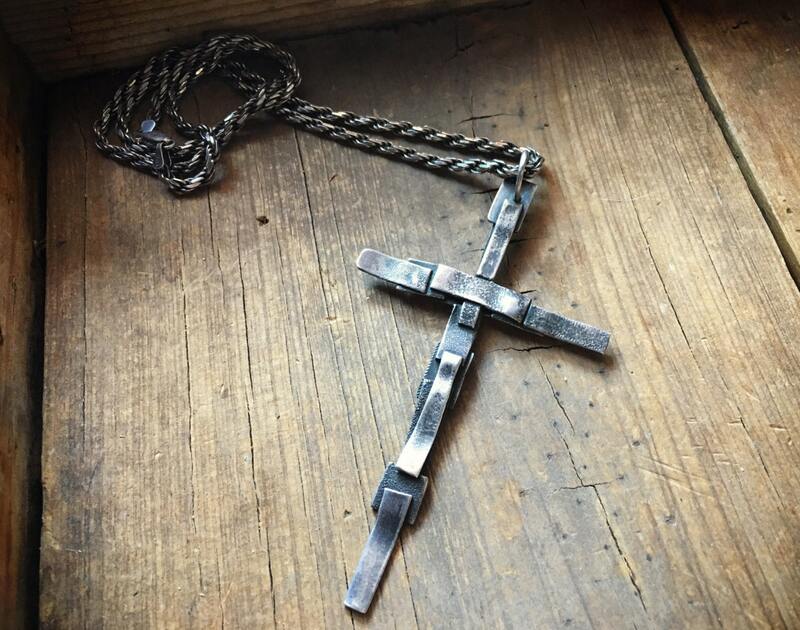 The cross has some small scratches on the silver, especially the back, from age, but otherwise in good vintage condition. Keeping it cool in the heat of the Southwest.